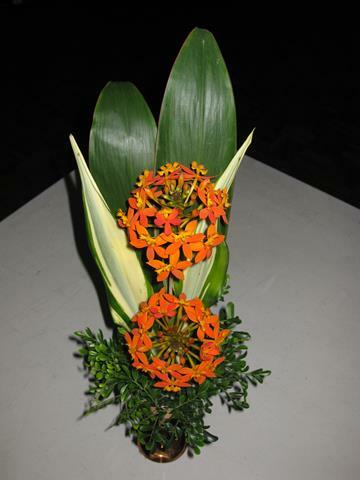 An eye catching display of a well grown specimen plant with a nice circular cover of pale yellow clean flowers. 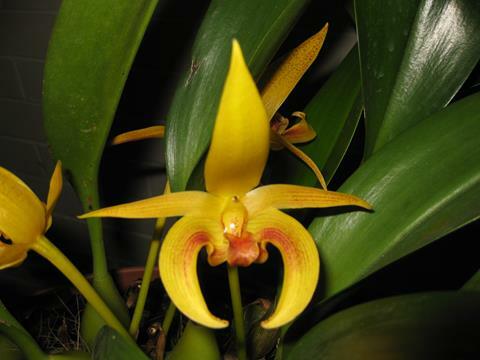 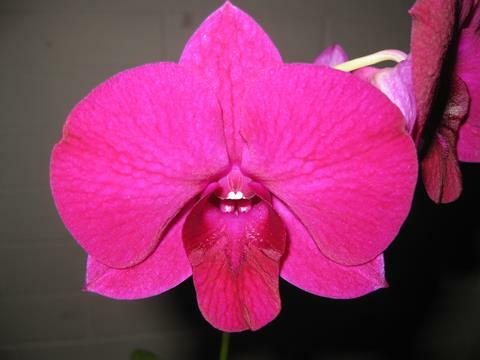 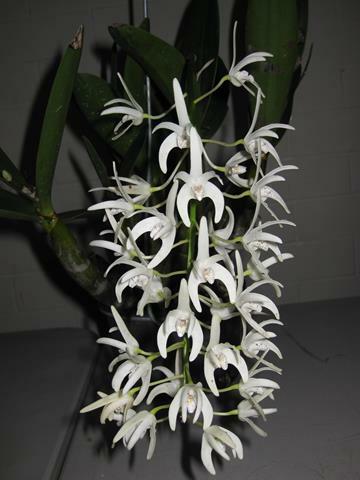 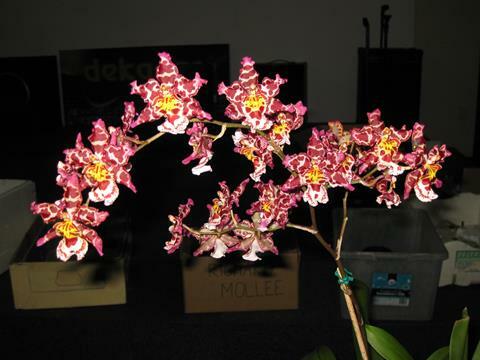 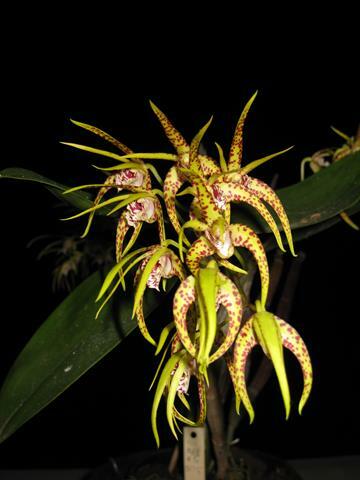 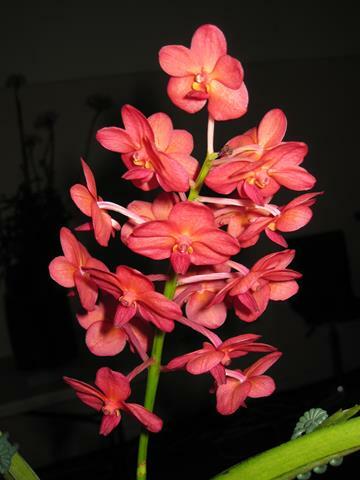 This easy to grow orchid is one that should be in every ones collection for its beauty and rapid growth habit. 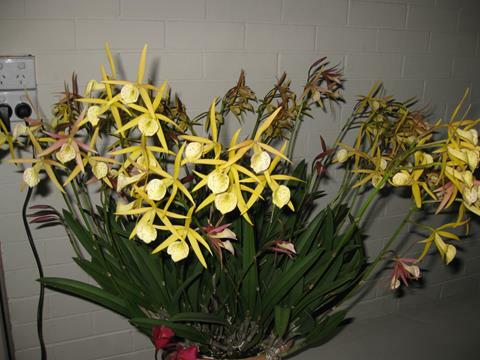 A nicely grown and displayed exhibition cattleya with two large full flowers. 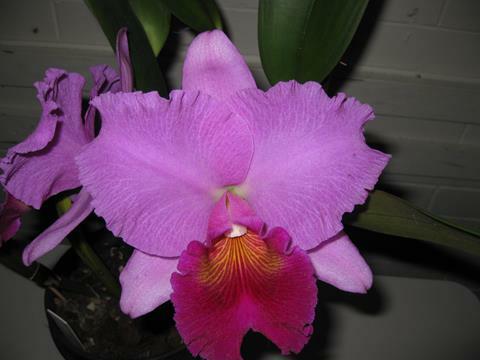 A very popular mini cattleya among growers for its good form and colour. 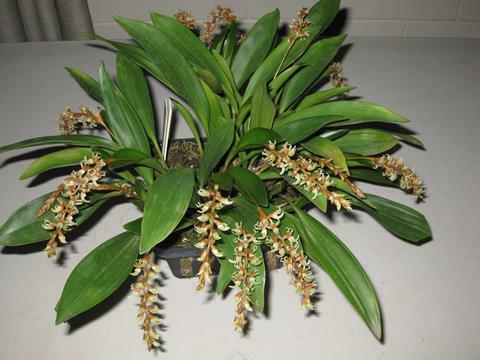 The members agreed with the judges in awarding this plant as the one they thought was the best of the benched plants.